signature; image lower left; printed; Imp. Delâtre. Rue St. Jacques. 171. Wedmore, Frederick. 1899. 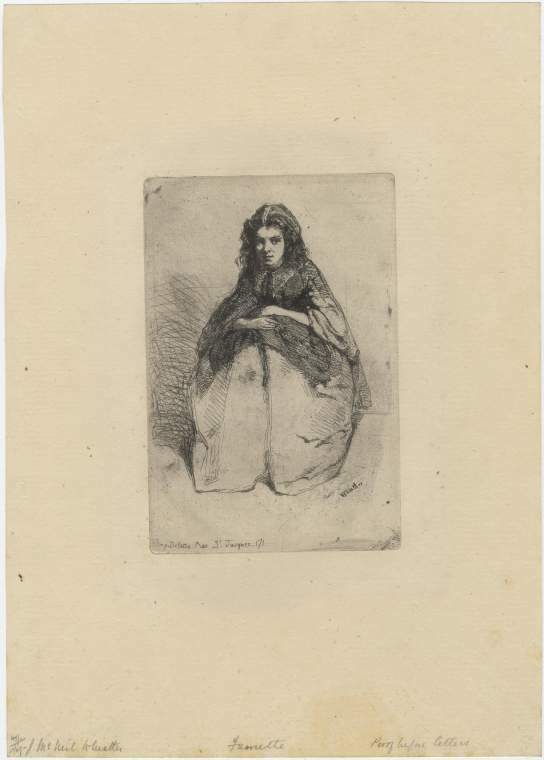 Whistler's etchings; a study and a catalogue.London? : P. & D. Colnaghi & Co.